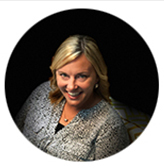 Anne has been the Executive Director of the Missouri Chiropractic Physicians Association since 2013. 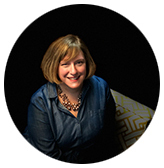 Prior to her time at the MCPA, she spent 12 years in the Financial Planning industry. She is a graduate of Spring Hill College in Mobile, AL. She currently lives in Jefferson City with her husband Chris and their two boys. She is an avid reader, a huge movie buff, and a collector of random pop trivia. “I am a patient of chiropractic and love to champion the benefits of chiropractic. It is my mission to preserve the rights of Chiropratic Physicians in Missouri. I belive that this starts with a strong, professional state association that supports all of our members and Chiropractors in our state." Jen has been with the MCPA since 2016. She is responsible for event planning, event management, and marketing. This includes MCPA partnerships, the Corportate Supporter program, and vendor relations. 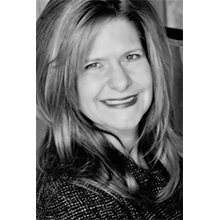 Her professional experience includes real estate sales and appraising, as well as recruiting. She lives in Jefferson City with her husband Darrell and their two daughters. Some of Jen’s hobbies include biking on the Katy Trail, hiking with her family, reading, and capitalizing on her Amazon Prime membership. After spending six years as a stay-at-home mom, she is excited about the opportunity to use her specialized skills to help the Association grow. Jen is enthusiastic about promoting chiropractic and looking forward to working with the members of MCPA.